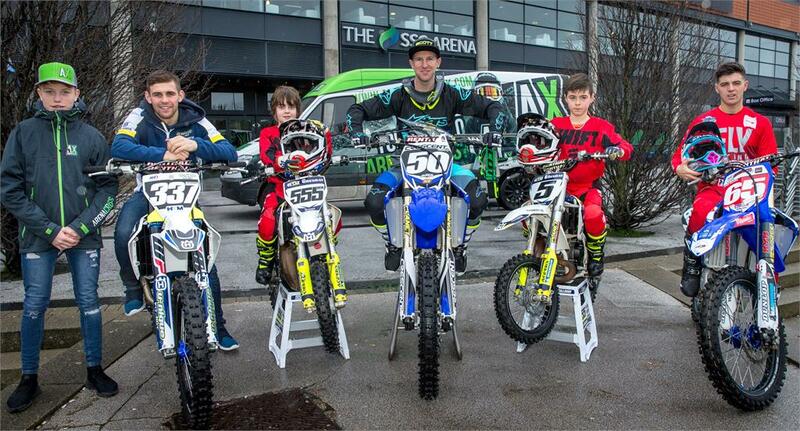 When the Arenacross Tour opens on Friday the 18th of January 2019, it will welcome the biggest-ever line-up of ultra-competitive Irish riders from both Southern and Northern Ireland, to the SSE Arena, Belfast. 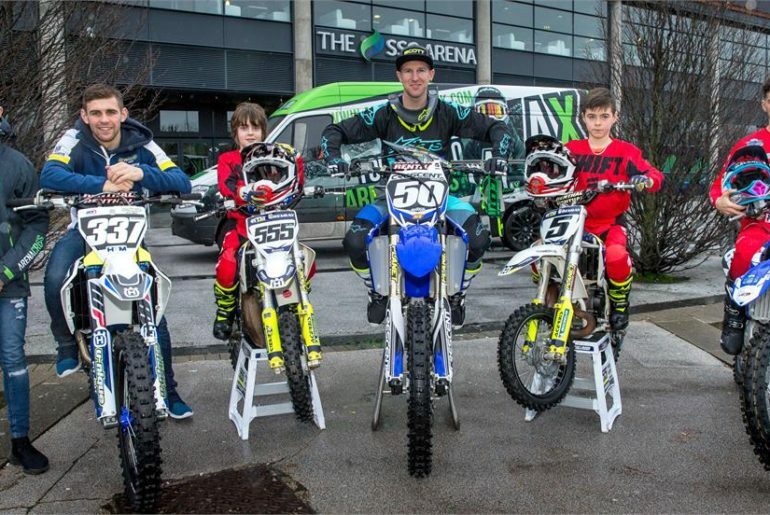 Six of the Irish racing contingent, who between them will contest the Pro Lites, Supermini and Youth 65 classes, attended a press launch yesterday, the 6th of December, at the city’s popular arena to talk about their upcoming Arenacross season. Arenacross supporter Graeme Irwin, MXGP contender and former British MX champ was also in the mix at the launch, and let slip that he would like nothing better than to kickstart his 2019 season by competing in the Arenacross ring. The Belfast crowd will be ready to erupt next January when the Pro Lites take to the Arenacross dirt-filled battleground as they’ll have not one, but three homegrown heroes to get behind. 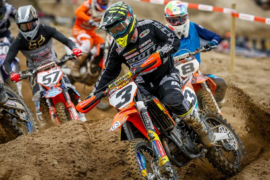 Headlining the Irish racing onslaught, in the Pro Lites class, is Martin Barr, arguably one of the fastest racers to come out of Northern Ireland. 2018 has been something of a rollercoaster ride for the 31-year-old; beset by injury, and then unexpectedly finding himself without a ride towards the end of the season. 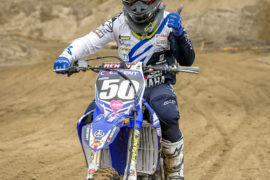 As always, the ever-tenacious Ballyclare rider dusted himself off and was soon rewarded with the support of Crescent Yamaha to not only contest the British outdoor championships, but debut the all-new Yamaha YZ250f in the full six-round Arenacross Pro Lites series. 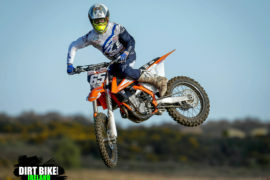 Barr will line up alongside a couple of young guns in the form of 23-year-old Glenn McCormick from Larne, on his Unique Fit Out Husqvarna, and 19-year-old James Mackrel from Dundonald on his Yamaha 250f. 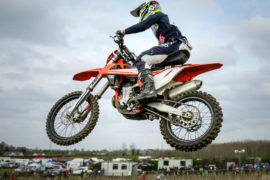 McCormick, the current Ulster MX2 champ, is no stranger to AX. He was a previous winner of the 65cc and big-wheel 85cc class and last contested the Rookie class in 2014, but hasn’t ridden any Arenacross-style championships since then. Mackrel, on the other hand, will face a steep learning curve when he takes to the Arenacross start-line next January, but says he’s looking forward to the experience and close racing. Irish racers will feature heavily in the Youth ranks too, with 14-year-old Drew McCreanor from County Armagh having recently been selected as one of 12 lucky riders to contest the inaugural Team Green Supermini Cup. This exciting initiative will see 12 youngsters between the ages of 11-to-14 line up on identical Kawasaki KX85 machinery, complete with Pro Circuit exhaust pipes. They will be kitted out in the best matching race kit imaginable – Bell, Thor, Oakley and Alpinestars – and given the ‘factory-rider’ experience. 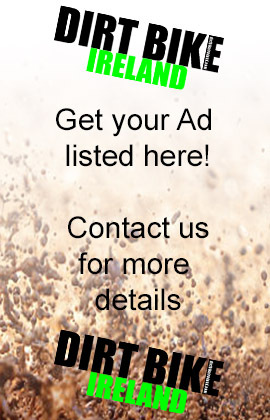 Their bikes will be professionally prepped by Kawasaki, taken to the arenas, and housed in a professional paddock set-up. This is an amazing opportunity for these young racers, and Drew says he’s determined to give it his all when he gets out on the Arena circuit in Belfast. And, there’s more … Arenacross continues to break new ground for 2019 with the introduction of the All-Ireland Cup. 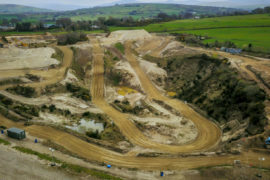 Exclusive to the double-header at The SSE Arena, Belfast on Friday and Saturday the 18th and 19th of January, the All-Irish class will celebrate the Irish motocross racing scene. Twenty-four riders will take part in this first-of-its-kind Arenacross initiative. They’ll engage in a series of timed qualifications and heat races during the day to determine the top six MX1 and MX2. Those 12 local heroes will then go out into the All-Irish Arenacross Main Event on both evenings, pitting wheel-against-wheel in what is anticipated to be a no-holds-barred fight to the chequered flag. An overall champion will be crowned on Saturday night. 2. Could 2019 see Martin Barr [l] and Graeme Irwin [r] both in the Arenacross ring at Belfast?